Would you like to turn your Raspberry Pi into a Multi-User Terminal Server so that multiple users may use it simultaneously? I wanted to experiment the multi-processor features of the language Erlang, which is a functional language used in soft-real-time-systems such as telephone switches. To that end I setup two Raspberry Pi's (Hereafter RPi) as Terminal Servers so that I could log into them as different users at the same time, to do some multi-user Erlang experiments. With the limited RAM of the RPi you are not going to be doing a lot with many users, however it meet my needs of my Erlang experiments. I explain here how to turn the RPi in to a mutli-user X Org Graphical Terminal Server. After playing with different RPi distributions I settled on using Arch Linux. Arch is a 'live' distribution that releases each new/updated package as it is available rather than waiting for month or years long release cycles. I have been using Gentoo and Funtoo, as my home development system for years, and I like the 'live' update philosophy. Building Gentoo packages natively would take far to long, and I did not care to set up a cross-build environment right now. Arch recently switched from using the common 'rc' bash configuration scripts to using systemd to bring up the system and configure it, so virtually all things you find on how to set up a system right now are out of date. This one is based on using systemd from the start. To get started download the current Arch RPi distribution, and follow the official Arch RPi install guide. After you have the Arch image written to your SD card, if it is larger than 2G you need to resize, and add partitions, to it to use all of the space. Also take a look at SDCard Tuning to speed up the SDCard. For creating/modifying partitions the simplest way I have found to do this is to use the program GParted, the graphical repartitioning utility. If you do not have a native GParted on the system with the card reader, then boot up the System Rescue CD on a USB stick to bring up GParted. In theory you can repartition the RPi while running from the SD card that is being repartitioned, which is risky to do in that it could potentially lose data, I do not recommend doing so. While using GParted to create the partitions, also use it to format the new swap and fat32 partitions, do not format the /boot and root (/) partitions! I set up four partitions 1) /boot. 2) The root system/user space which needs resized via GParted, to use most of the card space. 3) a 1G swap partition, twice the RAM size of the 512M models, mine is a 256M model. Some will debate the wisdom of swap on a SDCard, I'm accepting the risk in this application. 4) 1G partition as a FAT32 (Windows) partition for future experiments. Parted, the command line version of GParted, shows the layout below. Remount the SD card and restart the RPi. Now is a good time to point out a ugly problem with the RPi. If it is not properly shutdown it frequently damages the file system on the SD card so, always use the 'poweroff' command to shut the RPi down before removing power from the board! It is also a good idea to make a back up image of the card from time to time. Doing so between install steps of this guide is a good idea, to be able to return to a known good spot, rather than having to start completely over if a step is missed. The authenticity of host '172.16.17.4 (172.16.17.4)' can't be established. ECDSA key fingerprint is c8:52:bf:53:9c:c3:db:b4:11:c3:57:36:78:3c:05:c4. Warning: Permanently added '172.16.17.4' (ECDSA) to the list of known hosts. ; -Ss is used to search for packages. ; -S is used to install packages. Dec 31 19:00:11 erlang1 systemd: Started dhcpcd on eth0. Dec 31 19:00:11 erlang1 systemd: Starting Network. Dec 31 19:00:11 erlang1 systemd: Reached target Network. Dec 23 08:15:27 erlang1 systemd: Started OpenNTP Daemon. Once the root password, hostname and timezone, is set it is best to reboot the RPi using the 'reboot' command. that give hits at other packages that may need to be installed later. After a major upgrade I always reboot the system to be sure that any new kernel and board firmware gets loaded. I discuss the new GPU/ARM RAM sharing options of the firmware, and how to load a newer kernel, at the end of this article. Once the reboot is complete our base system is up to date. ; 'pacman' shows up in the Games menu, sigh. At this point the system could be rebooted and begin using the graphical Desktop Enviroment. #  -fp (font path) may be required for the server to be able to start. #  The lower two digits of the port number are used to select the color depth and screen resolution. #  For example using '50' will give a color depth of 8 with a resolution of 640x480. #  In general numbers in the '7x' range are a good place to start for modern displays. At this point we can reboot and connect to the RPi via a VNC viewer. Be aware that VNC is not secure. Nothing is encrypted, so usually VNC connections are done via the Secure Shell (SSH). On GNU/Linux I use TigerVNC and if I am using Windows I use UltraVNC (Be forewarned that there are ads on the UltraVNC download section that look like the download link that are annoying ads, choose carefully). Securing this VNC setup is worthy of an guide of its own, however it is ground that has been traveled by others so a search will uncover several. IPTables and SSH / SSH Keys / PuTTY are good places to start. To test the system, you *must reboot* the RPi to complete the configuration, then run a vncviewer giving the address of the RPi and a port number that represents the graphical resolution. The resolutions are found in the VNC Server section that was added to /etc/services. For example 'vncviewer 172.16.17.4:50' will bring up a resultion of 640x480 with a color depth of 8. It looks bad but it is fast. 'vncviewer 172.16.17.4:85' will bring up 1920x1080 with a color depth of 32, if your monitor supports it (there is no magic here, it has to fit), that looks good but is slow. I find that numbers of 72 to 74 work the best with my host system. At this point we have a working terminal server. However we are still running under the root account which is not good, the network needs to be on a fixed IP address for the Erlang experiments, and most of all things are ugly. Ascetics are an important marketing point to show off the RPi, however not really required due to the RPi's frugal resources. Lets make it look pretty anyway. ; it will be on the new static IP address. ; and keyboard to the RPi to fix the problem. Changing finger information for test. There are two common different philosophies on how to approach the problem of running potentially dangerous system commands. One is to enable the Super User account on a trusted normal user account by a special command 'su' or 'sux'. The other is to use the 'sudo' prefix to any potentially dangerous system command issued from a normal user account, that has had sudo permission enabled for that user. Using sux is easiest but the most dangrous. Historically 'su' stood for Super User (Also known as 'Big Wheel', hence the 'wheel' group used in the account setup), however in our world of Political Correctness it has evolved to mean 'Substitute User'. We would not want to hurt anyone's feelings that might be doing system administration. Sigh. The alternative to using sux is to use sudo. Some sudo users will go as far as disabling/removing the root account so that it is impossible to login to it at all. It is up to you to decide which mentioned is best for your situation. ; login as your with the user/pass you just created. ; Use 'sudo !!' to repeat the last command if you forgot to use sudo for that command. 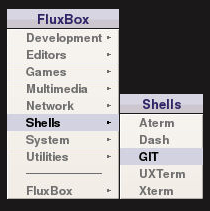 The sections on Desktop Icons, Desktop Background and Configure Fluxbox need to be repeated for each user installed, changed appropriately for the new users home directory (~). The Arch User Repository (AUR) is a community-driven repository for Arch users. The program 'Packer', among other alternatives, searches and installs AUR packages from the AUR database. Once installed packer may be used in place of pacman to search for packages. ; Add --asroot only if still running under the root account. ; packages in-place of using pacman. If you got your RPi to play with to learn about computer hardware or to get a start into the world of Embedded Systems then install the WiringPi package to get the ability to access the GPIO hardware. Visit the Wiring Pi site for details. The Wiring Pi package attempts to make the code similar to standard Arduino code to easy portability. Installing WiringPi. At any given time newer kernels and/or firmware for the RPi may be available than what is shipping in the current Arch image file. If you like to take risks, and you think it might fix a bug you are having give it a try, after making a backup image of your SD card. Is the bug that you know better than the one that you don't? ; Install the up and coming kernel and RPi firmware. ; This may fix bugs, this may have new bugs. ; If there is none you get 'not found'. Recent RPi kernels and firmware have an experimental feature to dynamically spit the limited amount of RAM between the ARM CPU and the video GPU. To enable it edit the configuration files /boot/config.txt and /boot/cmdline.txt. A well commented version of config.txt, if a bit outdated, is on GitHub. ; coherent_pool: Allocates from a pool of uncached memory that was reserved at boot time. # gpu_mem: GPU memory in megabyte. #          ARM gets the remaining memory. # gpu_mem_256: GPU memory in megabyte for the 256MB Raspberry Pi. # gpu_mem_512: GPU memory in megabyte for the 512MB Raspberry Pi. #              Ignored by the 256MB RP. #              Max 448. Default not set. #          available it will request some from ARM. #          available it will release some to ARM. # before the CMA driver has started. If something is not working correctly there are four places that may be interrogated for information. The first is the system journal via the 'journalctl' command. Without any parameters journalctl will show a lengthy spew of system events. 'journalctl -n' will show the most recent ten events. 'journalctl -f' will show events as they happen. See 'man jounralctl' on how to use the journal filter to see only events of interest. Second 'systemctl' may be used to interrogate the state of the system, and enable/disable services. 'systemctl --failed' will show items with problems. 'systemctl list-units' and 'systemctl list-jobs' show the state of the system. 'man systemctl' gives more in-depth options. Third, the standard GNU/Linux command 'dmesg' shows the state of the unit as booted. Lastly, the /proc file system shows the state of the system and devices. ; to long to list here. 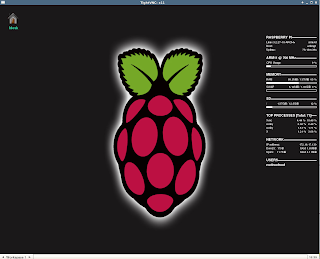 DOOM on your Pi: Raspberry Pi Arch Linux ARM Tutorial by J. McConnell. 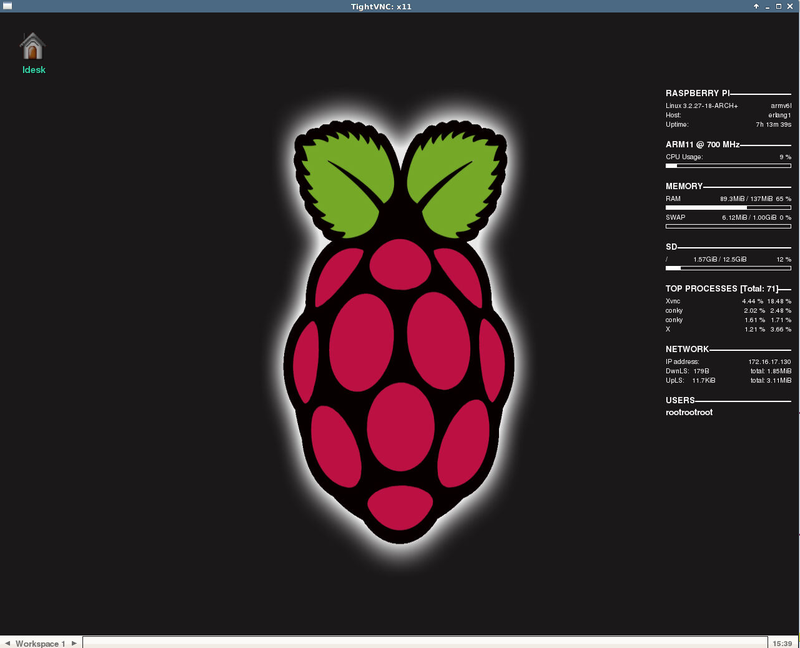 Archlinux on Raspberry Pi: sudo and window managers by sudoXanthippe. Gentoo: How to turn your box into a Xvnc Terminal Server. 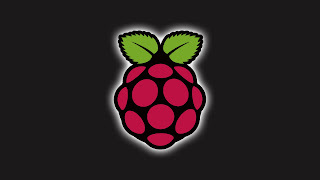 The Raspberry Pi Foundation is a UK registered charity (Registration Number 1129409). 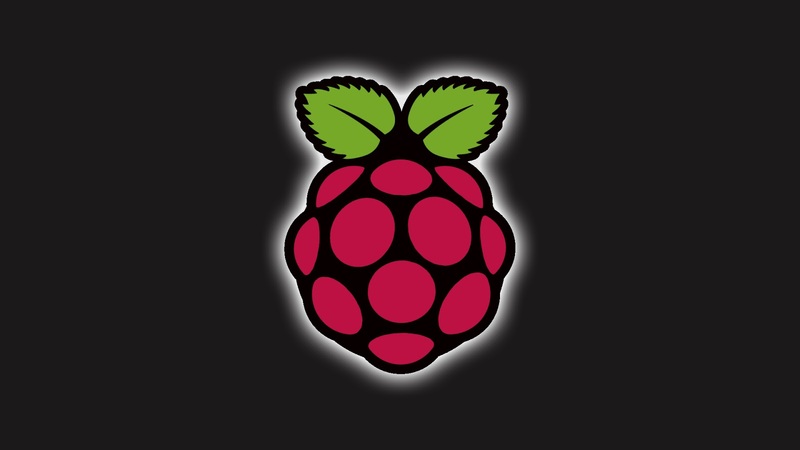 See http://www.raspberrypi.org/trademark-rules on usage of the RPi trademarks and logos.